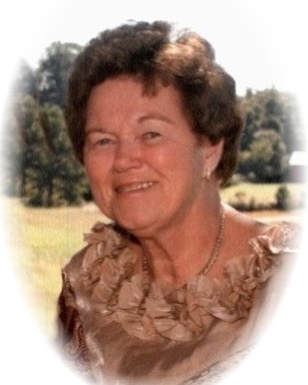 Patricia Perkins Gibson, age 73 of Griffin, Georgia passed away Saturday, September 1, 2018 at her residence. Patricia was born in Griffin, Georgia on August 14, 1945. She is preceded in death by her parents, James Quick and Nellie Casteel Quick. Patricia was a loving wife, mother and grandmother. Survivors include her husband, Teddy Gibson; children, Marty Perkins and wife Tanya of Concord, Danny Perkins of Acworth, GA; grandchildren, Michael Perkins, Taylor Perkins and wife Kristin, Taylor Bass, Shane Perkins and wife Danielle, Brandon Perkins and wife Phoebe; great-grandchildren, Courtland Perkins, Waylon Perkins; brothers and sister, Johnny Quick, Richard Quick, Sherrel Gregg. A visitation for Patricia P. Gibson will be Monday, September 3, 2018 form 6:00 pm until 8:00 pm at Conner-Westbury Funeral Home. A funeral service will be Tuesday, September 4, 2018 at 2:00 pm in the chapel of Conner-Westbury Funeral Home. Reverend Jefferson Yearwood will officiate. Burial will follow at Westwood Gardens.